Revel in me...: My wedding shoes. I sat down all ready to blog about my wedding dress, but changed my mind at the last minute. Instead, I am going to talk about an important yet very underrated part of any girl's big day. I think I place a fairly high importance on my wedding shoes. Yes, the wedding gown is the most significant and momentous outfit a girl will ever put on in her life, but she can only wear it once. Wedding shoes, on the other hand, can be reused for other occasions. And I like the idea of still being able to put on a beautiful part from my wedding even in my daily life. So a part of me has always hoped to have a special pair of shoes for my wedding. That being said, if you have read my blog for some time, you would recall me saying that I am never the type to fantasize about my wedding day. However, I still remember vividly back to that one day on Orchard Singapore at end 2012. We stepped into Valentino in Ion Orchard, and there they were-- ivory embellished, studded, glossy, netted heels, perching proudly on the display racks. Instantly, I was in love. And although at that time, I wasn't anywhere near getting engaged, Jing and I started playing make-believe, and began to choose our "wedding shoes". My mom walked by, and she sniffed at me and said in a challenging tone, "Cheh, you are also not getting married. When you are getting married, I buy for you also can la!" After the boy proposed, I admit I started window-shopping for wedding shoes (even way before I had any idea of what I want to wear!). However, when I run through the designers that I admire, somehow one fashion house still always stood out to me as THE one for my wedding shoes. 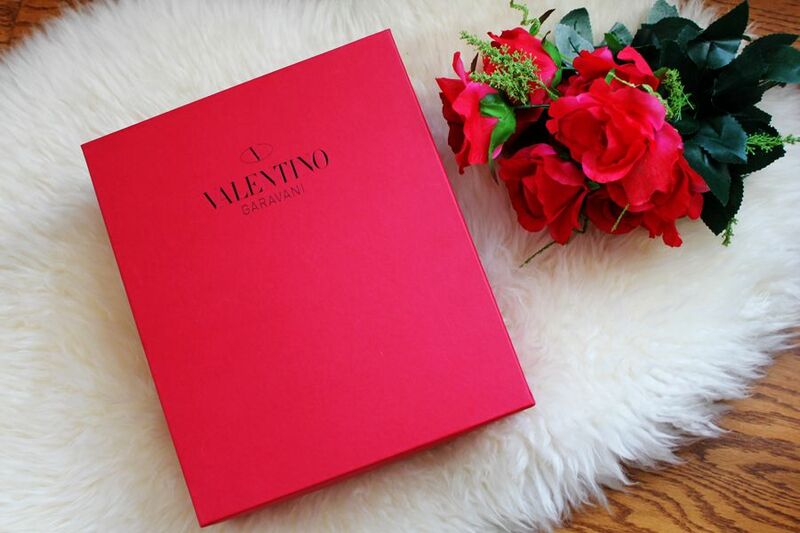 When I think of Valentino, I think of: romantic, classic, feminine, yet whimsical. It's all the things I want for my wedding! Then last year, during our Eurotrip, we stepped into a Valentino boutique in Paris. And much to my surprise, my mom remembered her words! :O Maybe there was something about the wildly romantic air in Paris... But without having a single inkling of how my wedding dress (or even wedding venue!) will look like, I bought my wedding shoes then and there. Bangkok Tai-Tai trip 2014: Day 2. Bangkok Tai-Tai trip 2014: Day 1.